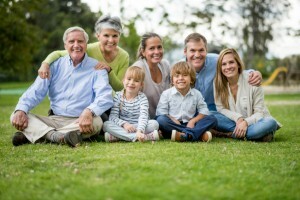 Finding the right dental provider for your family can be challenging because you want to find someone who can meet everyone’s needs. You want to find a friendly dental provider who can build a rapport with your child, while helping grandma to reline her dentures. As your premiere family dentist in Westfield, Dr. David Weinman offers tips for finding the right provider for your family. Our team is proud to offer the highest quality care that you’ll find in Westfield. Our hygiene team provides thorough cleanings and screenings for issues such as oral cancer and periodontal disease to ensure that you maintain optimum oral health. We believe that prevention is the best medicine and by attending your regular cleaning and check ups we can help you avoid many dental issues. We offer a wide range of restorative and cosmetic services, and Dr. Weinman has had hundreds of hours of advanced training in helping patients enhance their smiles. Whether your teeth are in need of repair, or perhaps you’ve been dreaming of improving the appearance of your smile, Dr. Weinman can meet your needs. We even have sedation options to help our fearful patients feel more comfortable and relaxed during their dental appointments. Dr. Weinman understands how important it is to put children at ease during their dental appointments, and how important early oral health care is. This is why we offer a number of special services designed to help protect children’s teeth. We may recommend fluoride treatments for your child at their bi-annual visits. Fluoride helps to strengthen and “build up” your child’s teeth, especially as they’re first developing. Dental sealants are a thin coating of plastic that can be put on your child’s molars to help protect those chewing surfaces from tooth decay and cavities. Dr. Weinman and his team are here to be your partners in caring for your family’s oral health. We strive to make every visit to our office pleasant and upbeat so your child looks forward to their dental appointments, and we offer a wide range of cosmetic and restorative services to meet every member of the family’s needs. Contact our office today to learn more about what we have to offer your entire family!